So one of the first purchases I made when I started doing freelance social media full-time was a really good scheduling tool for Instagram. 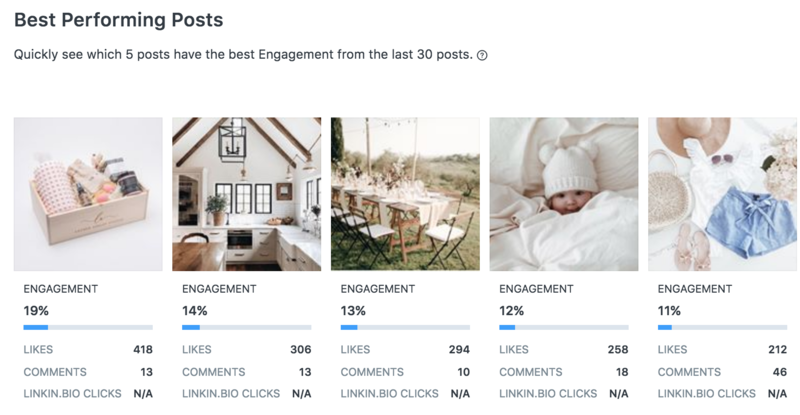 So many clients focus their social media strategies on Instagram (whether we as managers like it or not lol) that I needed an easy-to-use AND affordable platform that would save me time and make it easy to manage multiple accounts. 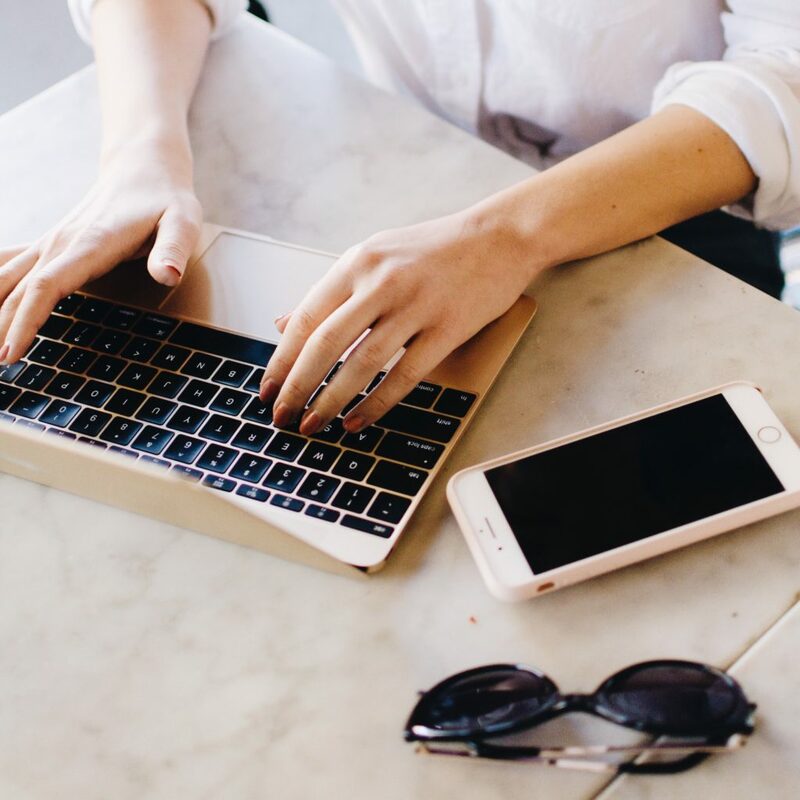 My favorite Instagram scheduling tool to use is Later! I currently use it to manage 4 of my clients’ social media accounts (for more info on my social media management services, click here). Other than the obvious of helping me schedule captions and posts, it has 5 features that save me SO much time. 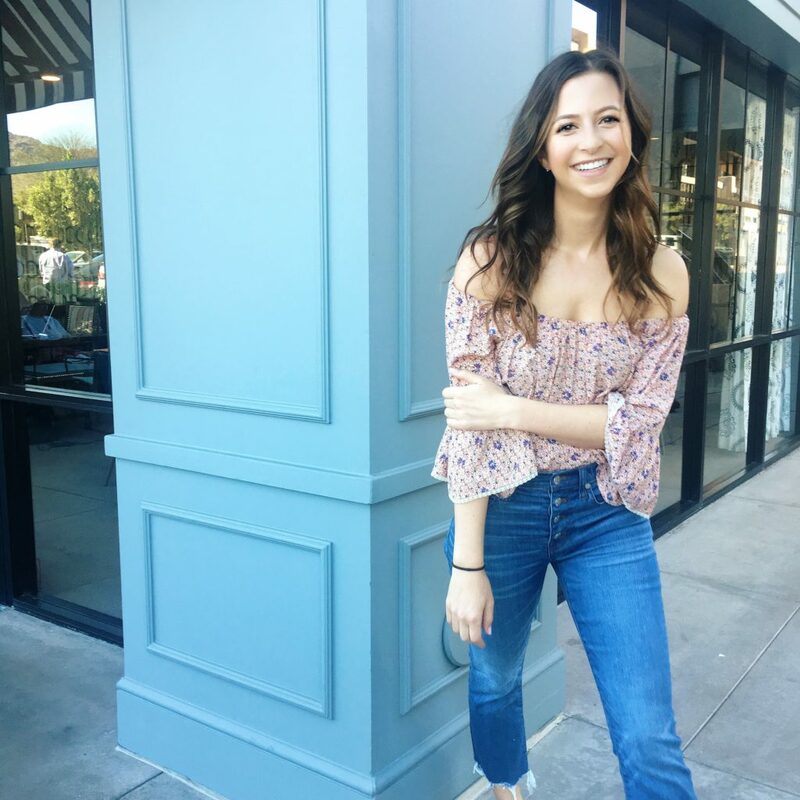 Today, I’m sharing those 5 features with you! Later does have a free plan, so be sure to check it out if you’re interested! One of the easiest ways for me to share UGC (user generated content) for my clients is to use Later’s Content Discover & Repost tool. 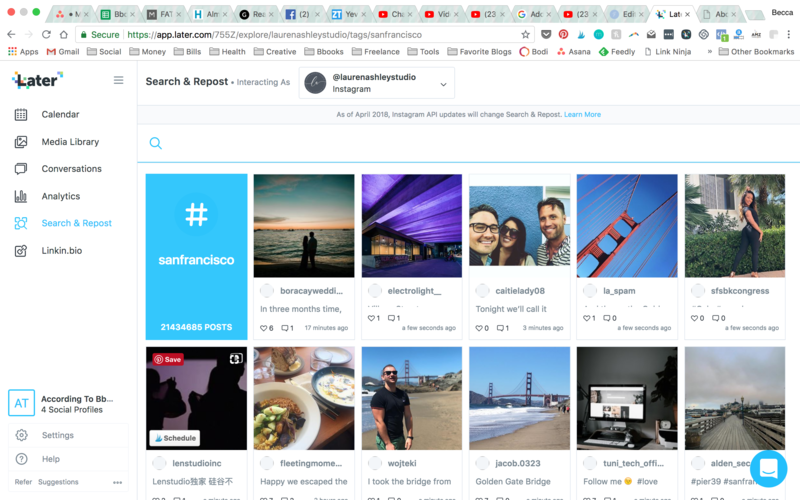 Instead of me having to screenshot and upload the photo to Later, Later will let me search for a particular post (based on hashtags) and I can add it to my client’s schedule with the click of a button. Plus, it will automatically @-mention the creator and will copy their caption into my caption as well (if I want to keep it). The Hashtag Suggestion feature when I search “backyard”. One of the most time-consuming aspects of posting to Instagram is finding the perfect set of hashtags to go along with each photo. 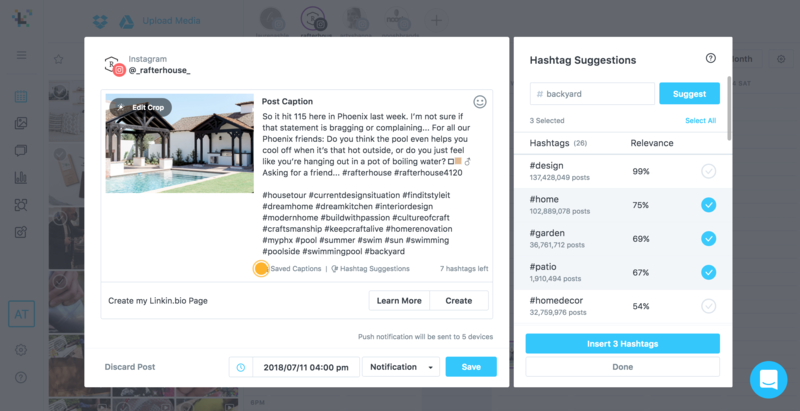 The “Saved Hashtags” feature in Later allows me to save sets of hashtags I frequently use for each client and easily copies & pastes each set into my caption. This is great because I have a set of hashtags that I use on almost every post for each client, and it was really frustrating having to copy and paste it every time from my Notes app when I drafted captions. Since posts can have a maximum of 30 hashtags, I personalize the hashtags for each photo based on the actual content of the image until I reach 30. I use the “Hashtag Suggestion” feature to search for hashtags more specifically related to that photo. It will list off 20 or so hashtags similar to what I search for (i.e. “backyard”) and indicate how many uses each hashtag has. I just select which ones I want and insert them into the caption. Made my life so easy during the recent Fourth of July holiday!! yes… my client saw 78% growth in the last 3 months!!! If you know me YOU KNOW I LOVE ANALYTICS. Anything I can get my hands on to make reporting analytics easier for my clients has my name written allllll over it. 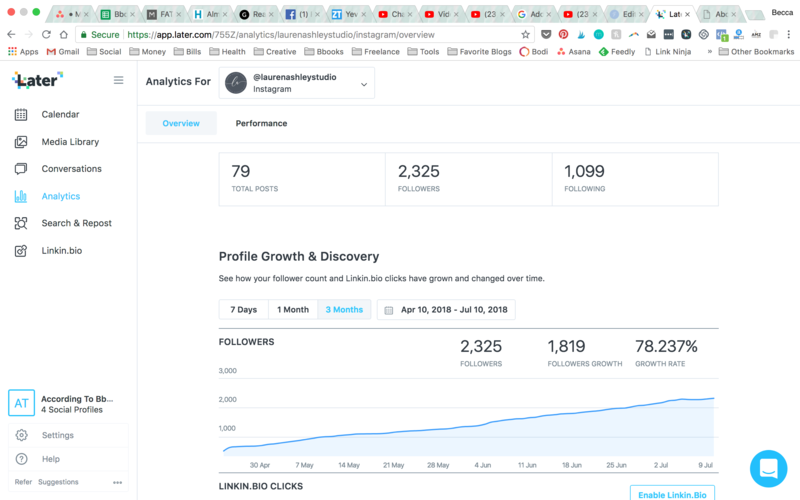 I especially like that I can get statistics and data for all 4 of my clients without having to log in and out of multiple accounts (like I would have to do if I used Instagram’s native analytics tools). This might seem like a simple feature, but you have no idea how many scheduling tools DON’T have a cropping feature!! Once I get all my clients’ photos in for the month, I just like to upload them into my Media Library in Later as-is. But once I decide to make a photo into a post for Instagram, sometimes I want to change the way it’s cropped. Before I used Later, I would have to crop the photo in an app on my phone or on Photoshop and then re-upload it to Later. But now I can test how different crops of the same photo will look on my clients’ grids right within the app! Getting client approval on content WAS THE PITTS!!! 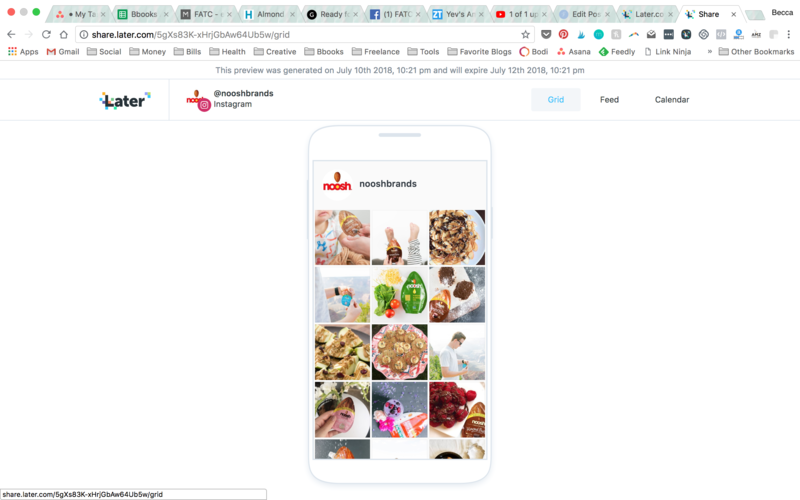 There wasn’t an easy way to share what content I had planned for a client without sending over screenshots of the grid and captions for each photo. 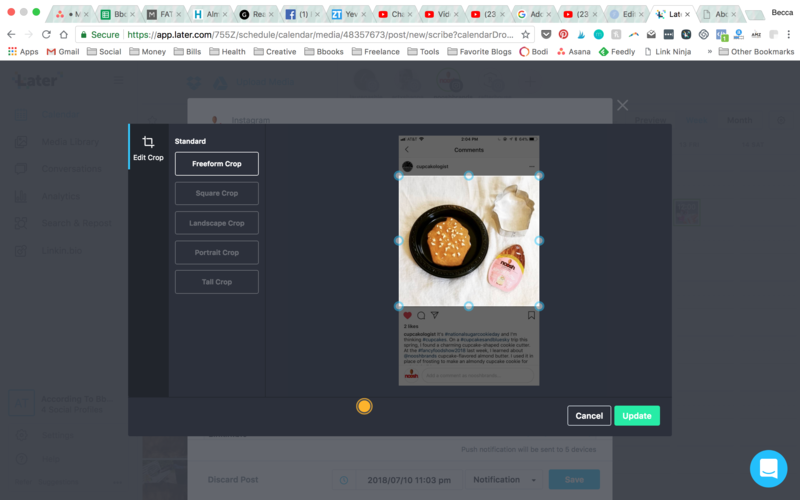 Now, Later will generate a shareable link for each account that I can share with each client so they can see exactly which photos go live when, what captions go with which posts, and how the grid will look overall. Just click the “Preview” button and then “Share Calendar.” It makes it so easy to get client approval and feedback. I hope these tips are useful to you!! 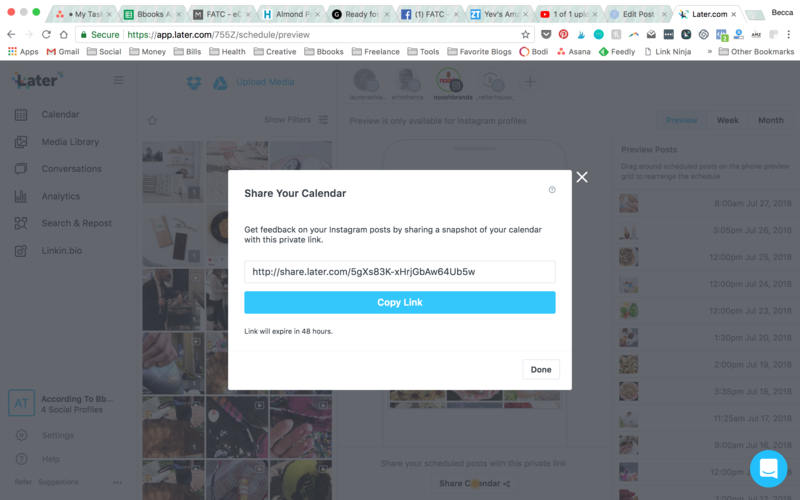 If you don’t use an Instagram scheduler yet I would highly recommend looking into one – especially Later! It’s affordable and has great features. Let me know if you have any questions!